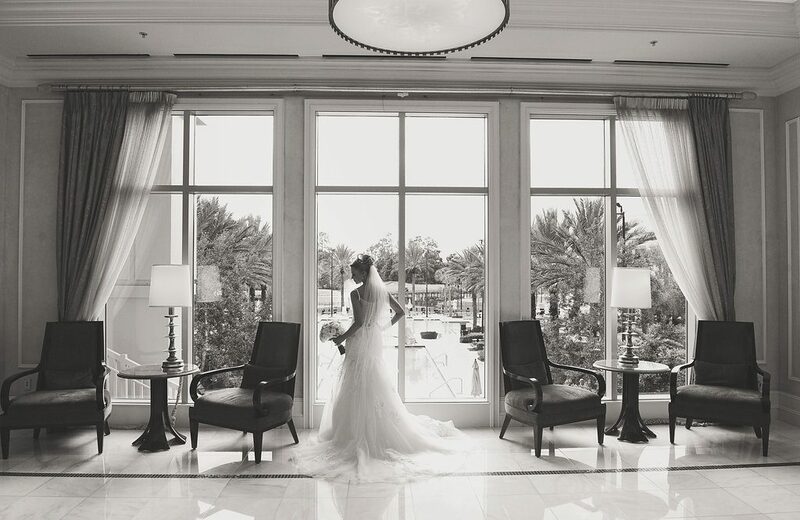 Orlando Wedding Planner | Waldorf Astoria Wedding of Kelly and David - Orlando Wedding Planners | Just Marry! February 1, 2019 by Just Marry! 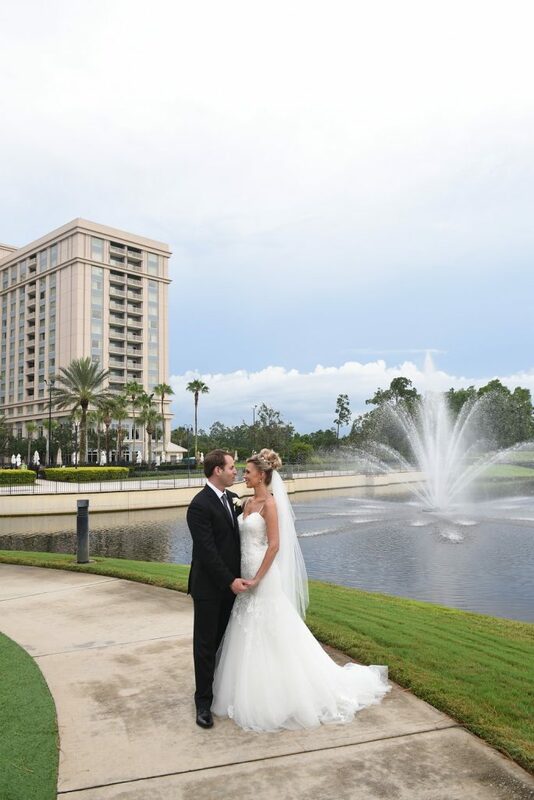 The mid-July wedding of Kelly and David took place at the luxurious Waldorf Astoria Orlando. 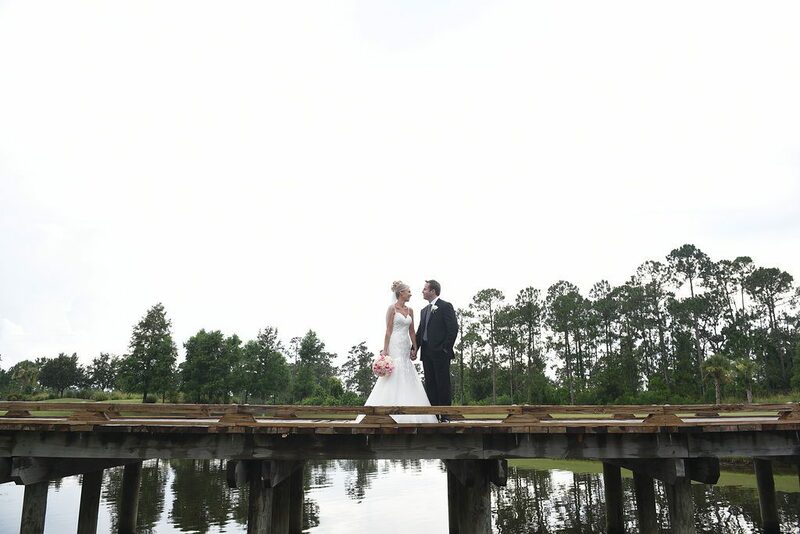 As their Orlando wedding planner, we had the honor of assisting them with all of the details for their big day. Just Marry! 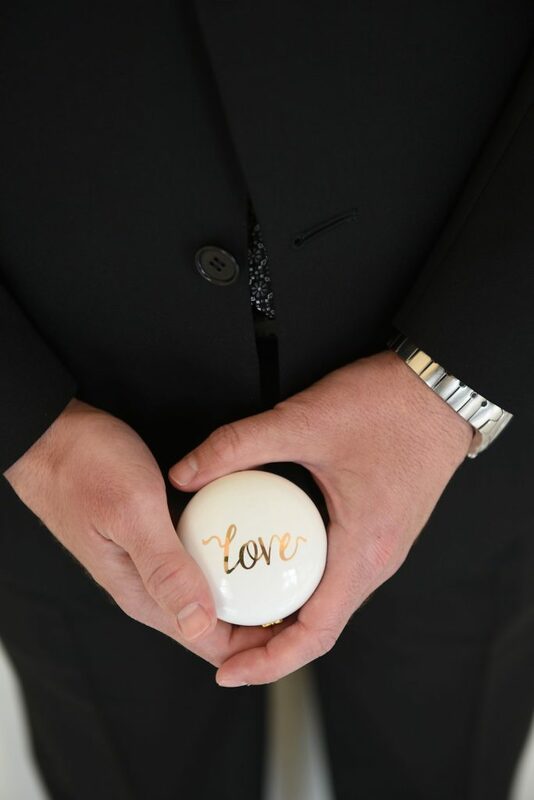 Senior Event Manager, Danielle Zarrella, worked with this Pennsylvania couple from the creation of their incredible vendor team to being there on the wedding day. She made sure everything went off flawlessly! 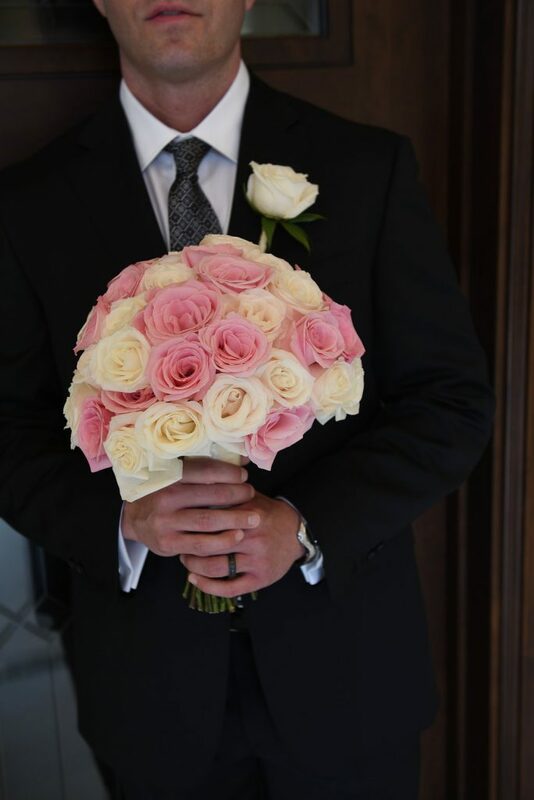 We loved Kelly and David’s classic ivory and blush color scheme. It looked beautiful against the elegant backdrop of the venue! 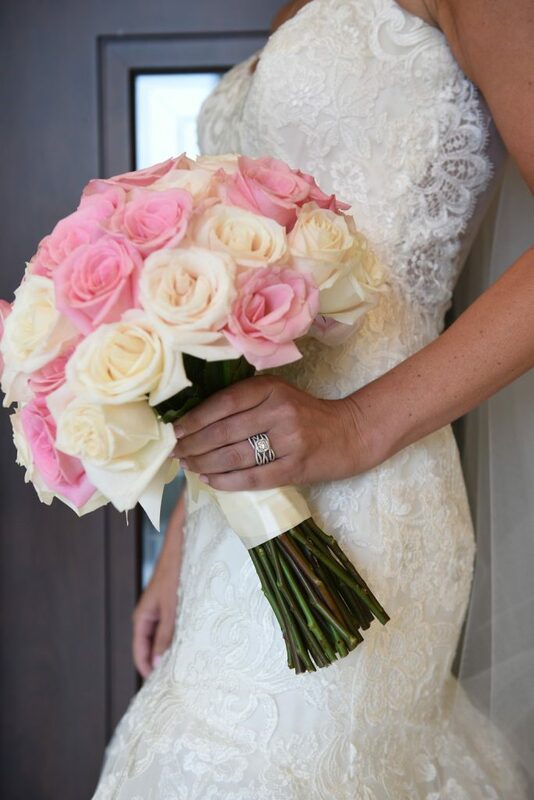 Kelly’s romantic lace wedding gown with its sweetheart neckline also suited the theme and the venue. It all came together in an unforgettable intimate destination wedding! 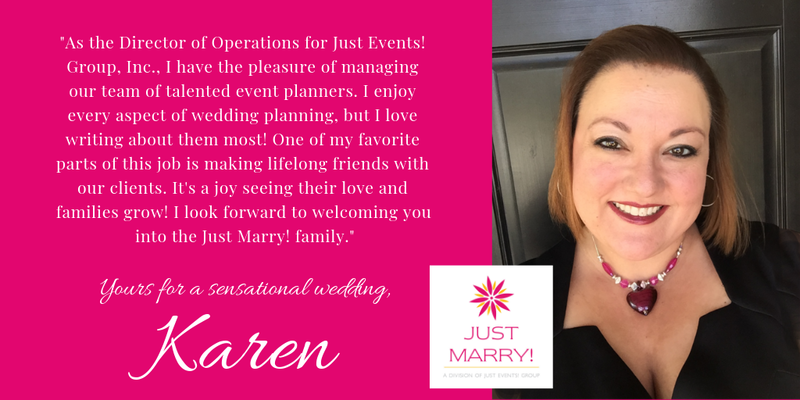 Wedding Planner/On-Site Coordinator: Danielle Zarrella, Just Marry! Seeing Kelly and her dad’s reaction as they saw each other for the first time. It was such a touching moment, and always one of those moments I never get tired of seeing at my weddings! So sweet! We kept an eye on the weather, and it looked like there was a chance of rain. Luckily we were at the lovely covered area of Central Park Gardens. 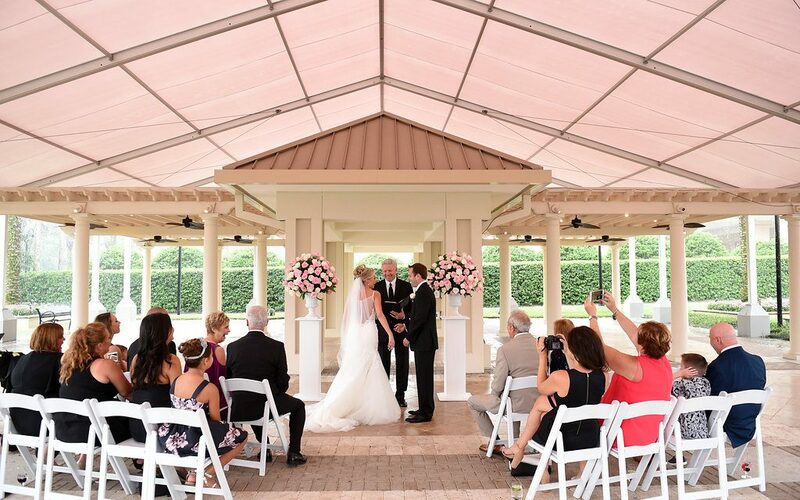 Just as Kelly walked down the aisle, the skies opened up and it began to pour. By the time the couple started reciting their vows, the rain stopped just in time to hear them exchanging the touching words to one another. It was absolutely perfect! 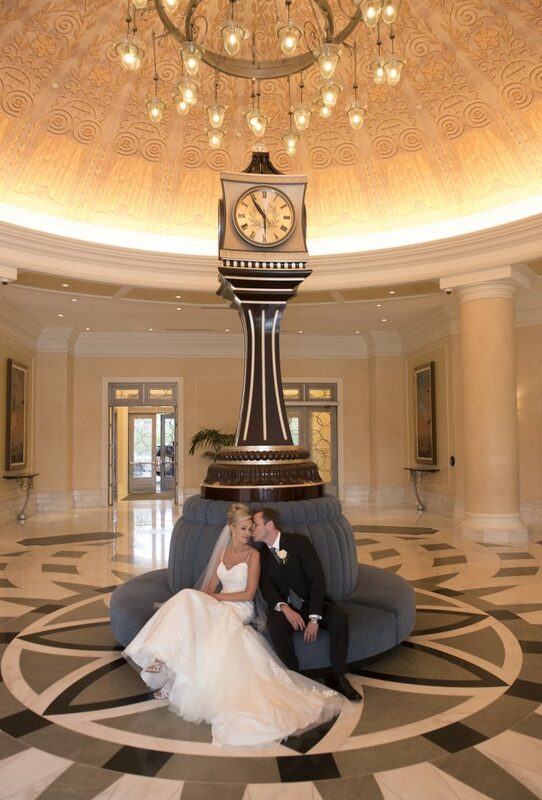 The couple enjoyed time at the Waldorf-Astoria before the wedding with their guests. I thought this was such a nice way to relax and unwind on the days leading up to the big day! 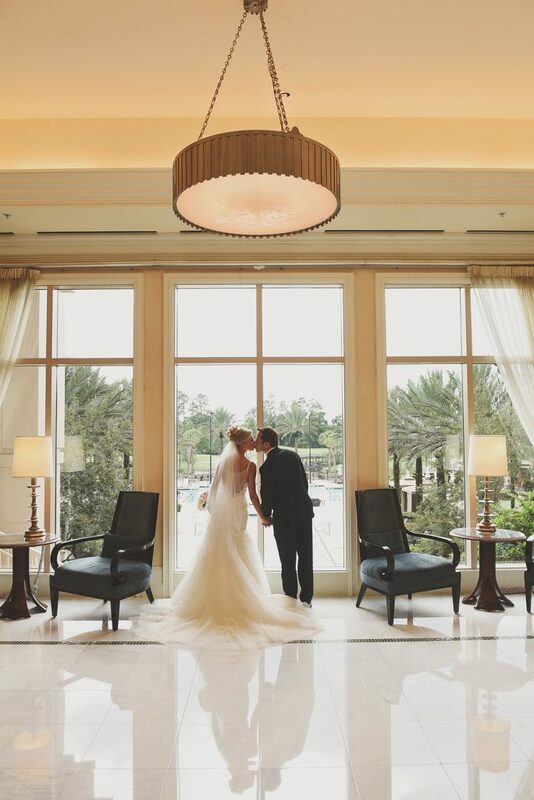 Are you looking for an experienced Orlando wedding planner, or are you considering booking a wedding at the Waldorf Astoria Orlando? Whatever your planning needs, simply fill out the form below and a member of our planning team will reach out to you right away. We would love to welcome you to the Just Marry! family!